i'm not allowed to use straws. or eat hot things or go outside and jump around. i'm not allowed to eat french fries or tacos or vodka. and i'm not allowed to eat this cake. i liked it a lot more when i had my wisdom teeth. i'm counting down the minutes until i get to eat cakes like this again. i do adore a good bundt cake. it's a sweet potato cake. it's easy. an everyday cake. yes! let us bathe it in glaze. 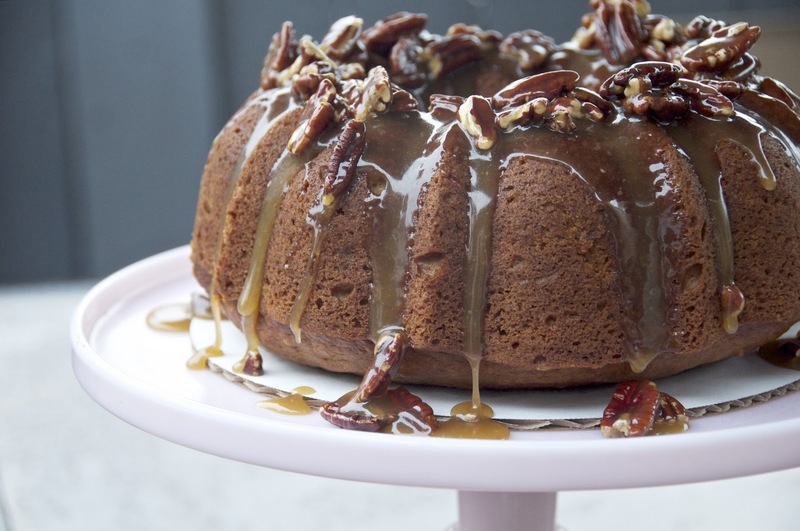 pecan praline caramely dreaminess. 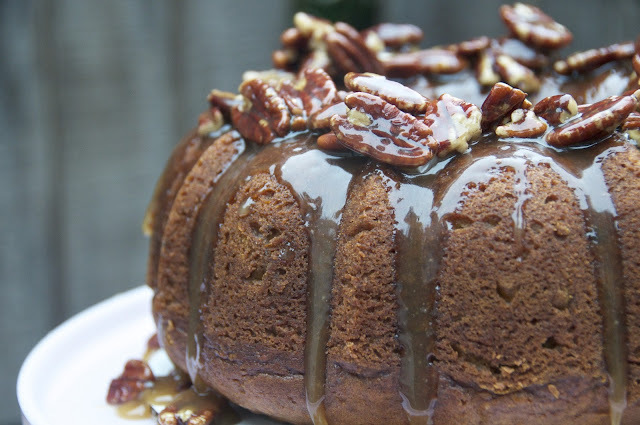 it might be my favorite bundt topping of all time. ALL TIME. 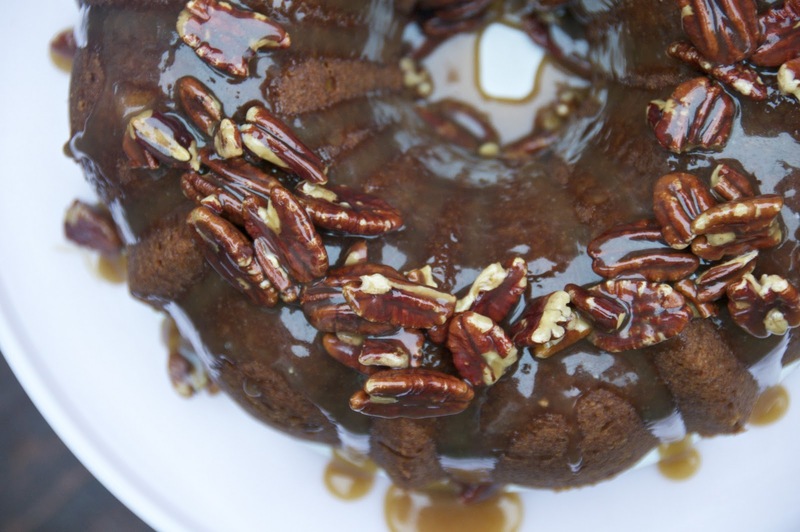 one can never have enough bundt cake recipes in their arsenal. quick, fool proof, and overwhelmingly delightful. with lots of topping. come on. you want this. i'm gonna go ice my face and cry because i want praline. preheat the oven to 325. grease a bundt pan and set aside. in a medium bowl, whisk flour, baking powder, baking soda, spices, and salt. in a large mixing bowl, combine sweet potatoes, sugars, and oil. beat until smooth. add eggs, one at a time, beating well after each addition and then the vanilla. add in the flour mixture and mix until just blended. scrape batter into greased bundt pan and bake until a cake tester comes out clean, about 1 hour. cool the cake in the bundt pan for about 15 minutes, then invert onto a cake platter. stir brown sugar, cream, and butter in a heavy medium saucepan over medium-high heat until smooth. boil for 3 minutes, stirring often. stir in pecan pieces. spoon warm topping over cake. serve warm or at room temperature.